Back by Popular Demand! Experience the "Most Wonderful time of the Year" in the Windy City. Enjoy a holiday luncheon at Macy’s Walnut Room. Dine in the Culinary Studio and enjoy Mrs. Herring’s famous Chicken Pot Pie! 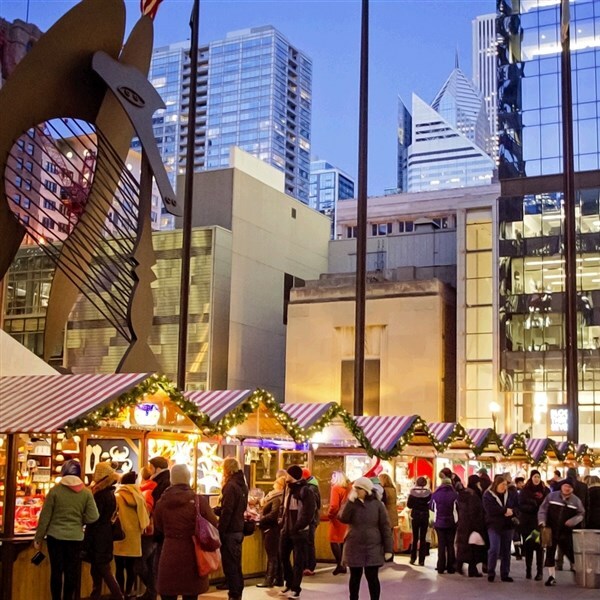 Then walk over to the Christkindlmarket in Daly Plaza to browse the specialty items, or spend time shopping, for all those on the Nice List, at Macys… You choose! Either way, a special pre-holiday day of fun! TOUR INCLUSIONS: Professional tour director, transporation, and lunch.